Gary woke up like every morning by hitting his alarm clock. Except this time, he broke his clock as he reached to turn it off. The night before, he had a dose of DiceIn™ and today he awoke to two whip spider arms. 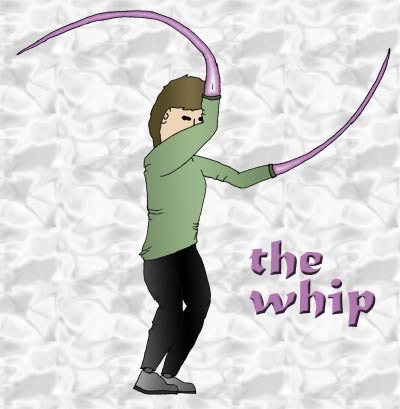 Whips can be used for hitting and climbing.